Did you know that using mulch, compost and soil amendments can take most of the hassle – and back-breaking work – out of gardening? 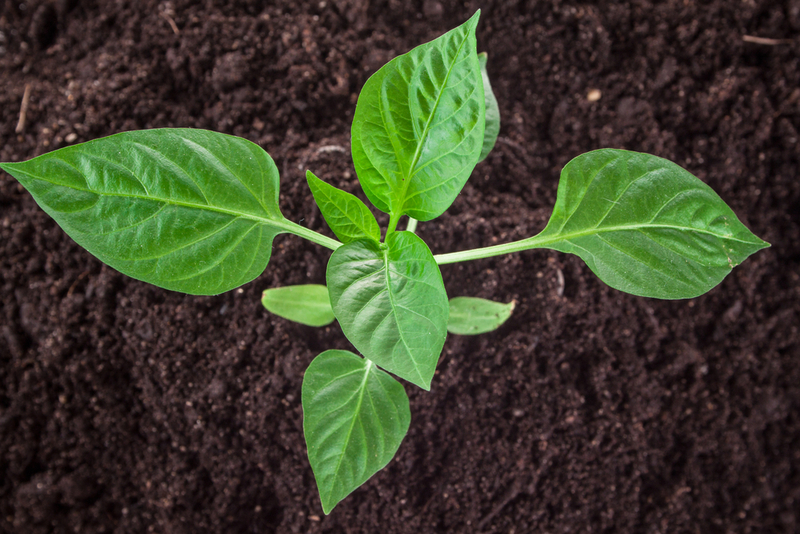 Every backyard gardener knows the challenges of preparing the soil for planting every year, which typically involves tilling the soil to break up the dirt and mix in whatever amendments are necessary. In his book The One Straw Revolution, Japanese farmer and philosopher, Masanobu Fukuoka, suggested a method for improving your gardening outcomes that requires no fertilizers or chemicals for pest and weed control. His “do nothing” method also requires much less work. The secret to Fukuoka’s methods are mulch, compost and soil conditioners. Mr. Fukuoka proposed a most unusual suggestion, skip the tilling altogether. In fact, with this method, you’ll never turn another spade of garden soil again. This approach preserves the soil environment, which Fukuoka believes is critical to the health of your plants. How Does No-Till Gardening Work? If you’re starting with a previously unplanted plot of dirt, you must do the standard tilling and rock removal process the first year, adding the normal compost and soil amendments to establish a healthy foundation. If you’re working with the planting beds you’ve been using in the garden, none of that is necessary. Simple order your delivery of mulch, compost and soil conditioners and lay them down in thick layers. To plant, simply pull the layers back where you want each plant and dig a small hole, just large enough to accommodate the seeds or seedlings. After you set the plants, replace the layers of mulch and compost over or around each one. No-Till Gardening Requires Less of Everything. When you use this approach, the mulch and compost will hold moisture in like you won’t believe. Consequently, you will need to water much less. You also shouldn’t have much (or any) trouble with weeds. If you want to add another layer of compost later in the year, simply spread it on the top evenly and cover with more mulch. Over time, the nutrients will be pulled into the soil below, improving the condition of the underlying dirt. Try to avoid walking on the surface as much as possible, lest you compact your planting beds. During those times when you aren’t actively gardening, cover your beds with hay or plant a groundcover such as clover or rye. To make your hassle-free gardening even easier, call on The Dirt Bag for delivery of mulch, soil, compost and soil conditioners. Our headquarters are located in West Jordan, Utah, but we provide delivery throughout Salt Lake County. Our products are conveniently bagged in one-cubic-yard reusable bags and delivered right to your door. Give us a call today to schedule our Utah delivery of garden soil, soil conditioner, mulch and compost.